Who else but the US knows about how to properly have fun? Each state has a loud and bright amusement park, whose doors are open to visitors of all ages. Today we will determine the most interesting of them, so that you clearly know where you can go on the next weekend. 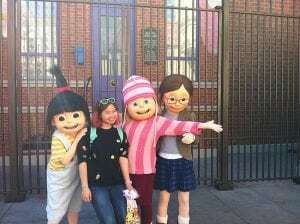 You can immerse yourself in the world of Hollywood in a theme park located in Los Angeles, California. You will absolutely enjoy the quality of performance of all attractions. 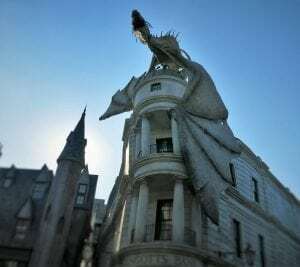 There will be an opportunity to visit the world of Harry Potter, stroll through the pages of the world’s favorite book. It’s better to come to the park earlier, but, being in the Water World, to choose a place higher – if you do not want to get wet. Allocate a trip all day. 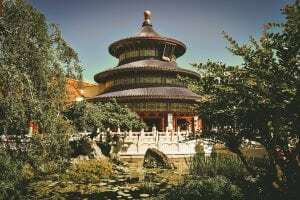 Because there are a lot of amusements: attractions, shows, tours of real film studios, shops, restaurants, cinemas … You can visit real film sets for Hollywood movies. And for fans of speed and the film “Fast and the Furious” – the attraction Fast & Furious – Supercharged. There will be fun for fans of TRANSFORMERS ™ and the cartoon “Despicable Me”. Another gift for lovers of the touching story of an orphaned wizard boy and his faithful friends. There is another park dedicated to Harry, in Orlando. And it’s definitely worth your attention. Incredibly realistic Hogsmeade, Hogwarts – all these objects, close to our heart, of course there are in the park. Between the destinations there is a train “Hogwarts Express”, the one that leaves the platform 9 3/4. Even if you have problems with the vestibular apparatus, and ride on the attractions – not for you, you’ll still like the day in the park. It’s nice to just be here. Walking along the streets, sketched from the pages of Joan Rowling, to meet these goblins from the bank of the Gringotts, to go to the restaurants “Three Brooms” and “Leaky Cauldron”. Drink a creamy beer, and feel like one of the Gryffindors. 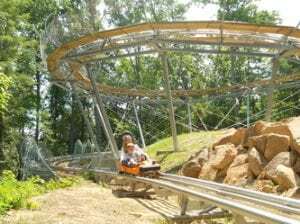 In the east of Tennessee, in the resort town of Pigeon Forge, and is our next amusement park. To go here it is recommended to fans of an extreme and the nature. Unbelievable beauty views open from the height of the mountain, because the road itself runs through the forest. Clean air, crazy speed – a great way to air your head and run away from everyday bustle. And of course, we could not ignore Disney! Liked by children and adults around the world. 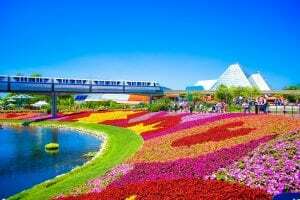 Disney Park is available in many other cities and countries, but a large percentage of visitors to all these parks consider the American the most cozy and beautiful. Buena Vista Street is the first area to which you will fall. Walt Disney Studios are located here. The largest plot is dedicated to Paradise Pier (15 acres) and is an idealized version of popular coastal piers such as Santa Monica Pier and the Santa Cruz Beach Boardwalk. Also you will meet Grizzly Peak – inspired by the deserts of California and national parks. You will clearly see references to the national parks of Yosemite and Redwood. The main attraction here is the Grizzly River. Hollywood Land – this site was created under the inspiration of the Golden Age in the Hollywood of the 30s. Here entertainment will be based on films, television, theater and Hollywood studios. And all this is only a small percentage of the interactive program of the park. Another bright park, located in Pigeon Forge (Pigeon Forge). Dollywood will especially like those who love country music. 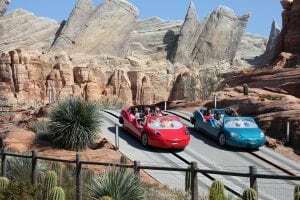 After all, the name of the park is not an allusion to Hollywood, it is the perpetuation of the memory of the famous country singer and co-owner of the park – Dolly Parton. 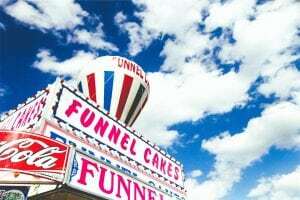 Must-try in the vastness of Dollywood – funnel cake. Many return to the park every year for the sake of delicacies. This is something like a dessert “brushwood”, only soft in consistency. They serve a fannel cake with various toppings. Be sure to enjoy theatrical performance, well, according to the classics – roller coasters, boats and locomotives. A notable park in the state of Orlando. And a great place to spend a hot day. Here there is a huge pool with artificial waves, and many rescuers – so that you are calm. There is a so-called “river for lazy people,” playgrounds and cafes – everything you need for a family holiday. One of the most interesting attractions is “Shark Reef” – a swimming pool, before which you are given a mask, a tube, fins and, if necessary, a vest. You will swim with fish and sharks. We do not leave much – this park is also in Orlando. The trip will be entertaining and cognitive, and also partly gastronomic. Each area of ​​the park is a new country. So take the children, and go explore interesting geography.